WaiveCar is a Los Angeles-based start-up that brings together car-sharing and out-of-home advertising in an innovative new way. 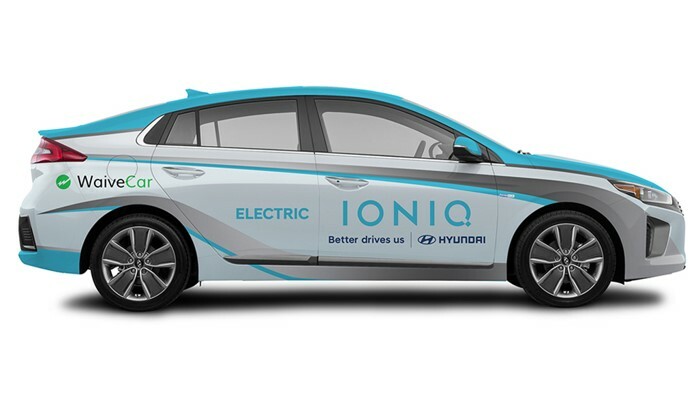 The company maintains a growing fleet of Chevrolet and Hyundai electric vehicles outfitted with double-sided LCD screens that serve as roving billboards. WaiveCars are free to drivers for the first two hours, and advertising on a WaiveCar costs just 2.9 cents per 15-second spot. Adomni, creators of an online platform that makes DOOH advertising accessible and affordable to businesses of all sizes, collaborated with Five Tier to build a robust DOOH solution that makes it easy for advertisers to create, upload and schedule ads to run atop WaiveCar’s vehicles. Five Tier’s marketing automation software integrates with Adomni’s DOOH platform to create a self-contained solution that enables advertisers to create and push advertisements directly to WaiveCar’s fleet of vehicles. Since accepting a $500K investment on ABC’s Shark Tank in Q4 of 2017, WaiveCar deployed a fleet of 19 vehicles in the Los Angeles area, and another three vehicles in New York. The company’s unique model of ad-supported car-sharing is generating buzz within the digital out-of home (DOOH) industry. The LCD screens atop each WaiveCar are connected to BrightSign HD1023 media players, which route advertising content to the screens as chosen by the advertiser. BrightSign’s GPS capabilities make it possible to further target advertisements based on specific geofencing requirements. For example, a coffee shop in Santa Monica can specify an ad is displayed only when WaiveCars are within a certain proximity of the coffee shop. The ability to control when and where the ads display greatly increases ad placement ROI.